75th and Sedgwick: ZARA HOME! Loved hearing about (e)merge! The Larson & Shindelman work is fascinating! So, if you're like me and read a lot of blogs, you are well aware that this week Zara Home became available for online shopping in the USofA. This is really exciting to me because Zara is one of my favorite clothing stores. In fact, just this weekend I spent about an hour and a half there browsing the new fall line with my cousins! I really feel that both the brand's style and price point are basically unmatched here in the US. Can anyone think of an equal? 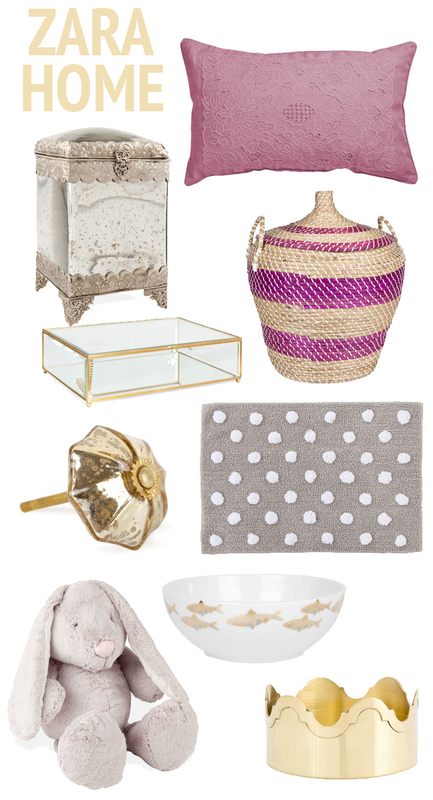 Find it all here: pillow, silver box, basket, glass jewelry box, bathmat, knob, bowl, bunny, wine bottle coaster. Just for the record, Zara Home didn't pay for or sponsor this post. I'm just a sucker for cute soft bunnies. I went into a Zara home store when I was in Poland and loved it. Great variety and great price point - just like the clothes!